Garment manufacture often takes place large distances away from the consumer market. Often the method of shipping is in cartons. 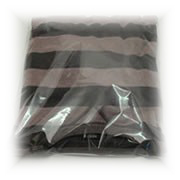 Packing garments into incorrect sized boxes results in creasing and damaged garments.